have a read of it here, if you've not yet bought one. For me, Christmas is about the build up, counting the days down, getting the tree up and making the house all Christmassy. By Boxing Day I'm over it, and ready to pack it away in the loft for another year. So what better way to count down to the big day than with one of these fab grown up advent calendars? First up, how about this cute nail polish advent calendar from Accessorize It's now half price at £15. It looks like it's sold out online, so check your local store. Accessorize also have 30% off selected items as part of their Black Friday weekend. This is a perfect couples advent calendar (although you don't have to share!). This scrummy grown ups advent calendar has flavours like mulled wine and cinnamon praline. 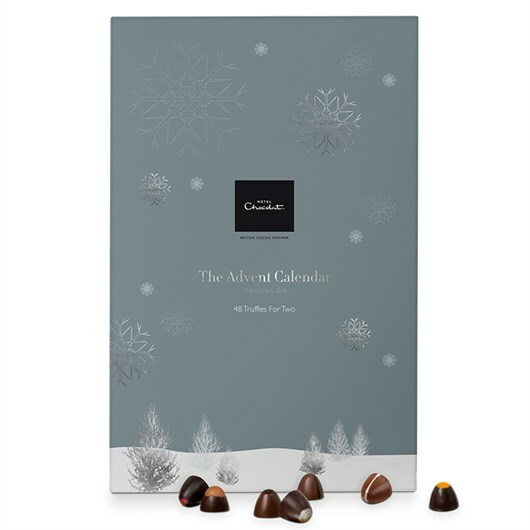 This is available from Hotel Chocolat. They also have 20% off for Black Friday...with some yummy selection boxes that'd make great Christmas gifts...and let's face it, they're better than a box of Milk Tray. 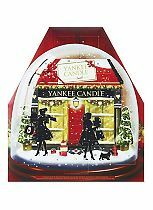 Or to get the house smelling lovely and festive, Yankee Candle are doing an advent calendar with a different scented tealight everyday. This is £20 and available from Boots. Yankee Candle themselves have a selection of other gorgeous calendars to choose from.